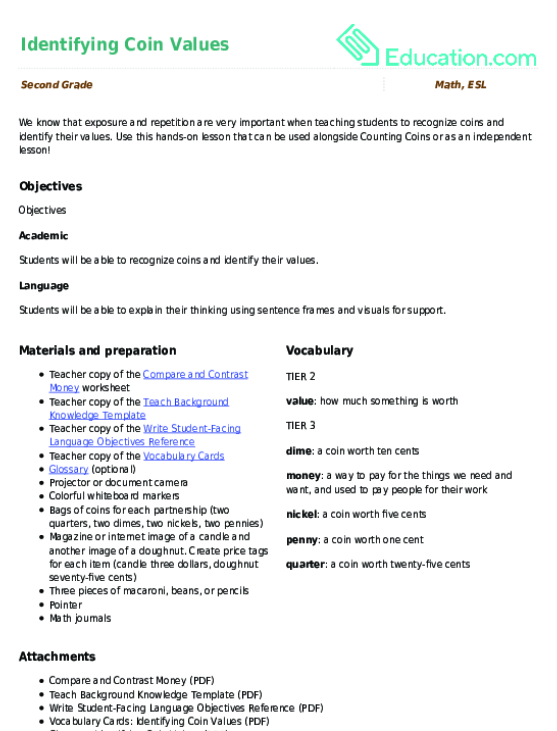 Use these vocabulary cards with the EL Support Lesson Plan: Identifying Coin Values. 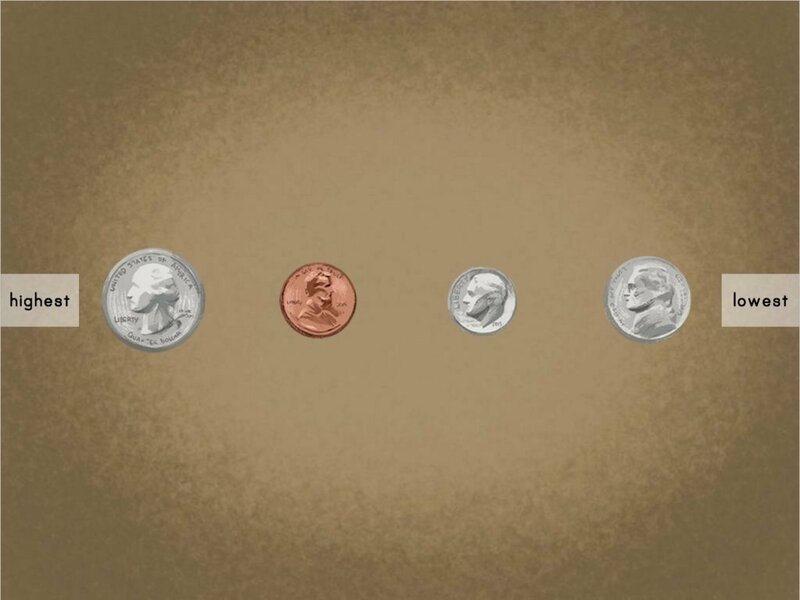 We know that exposure and repetition are very important when teaching students to recognize coins and identify their values. Use these vocabulary cards with the EL Support Lesson Plan: Money Values. 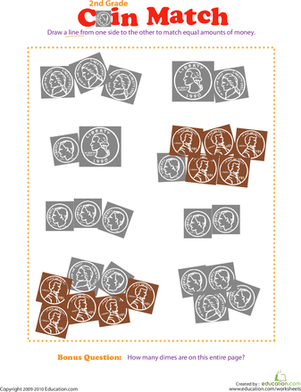 Kids that need help learning the names and values of coins will benefit from this worksheet. 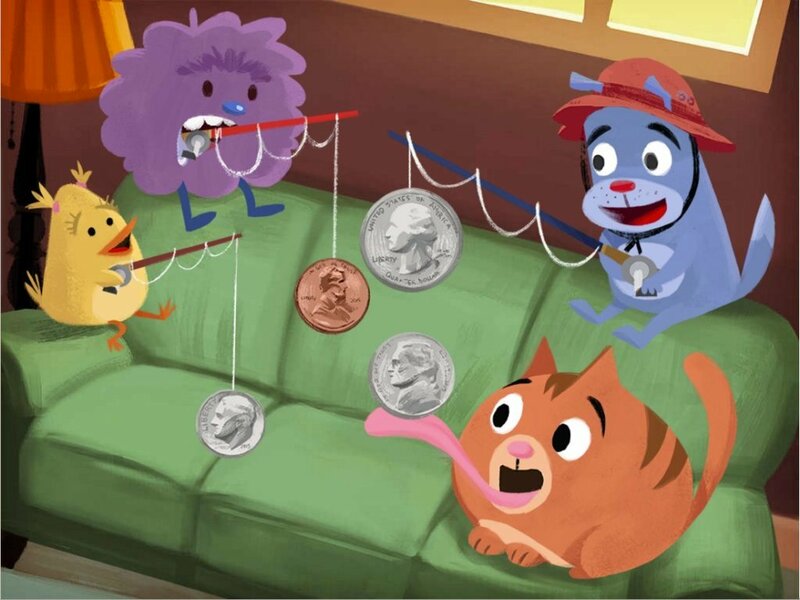 Kids will pair groups of coins with the same value. 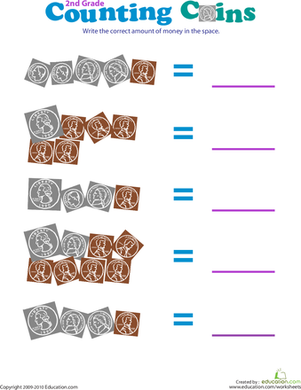 Use this glossary with the EL Support Lesson Plan: Money Values. 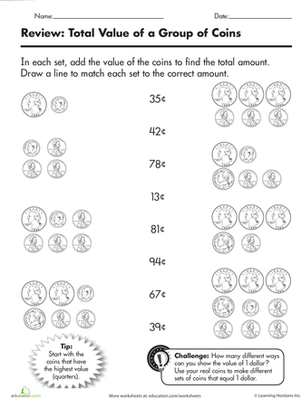 In this fun coin worksheet, your child will count each group of coins and write their total values on the lines. 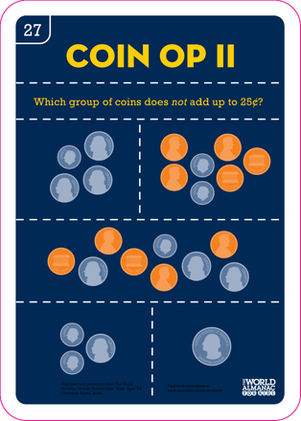 Help your second grader test his coin savvy with this worksheet that asks him to connect groups of coins to the values that match.